EAW015490 ENGLAND (1948). Billingley, Open Cast Coal Quarry south of the village, 1948. This image has been produced from a print marked by Aerofilms Ltd for photo editing. 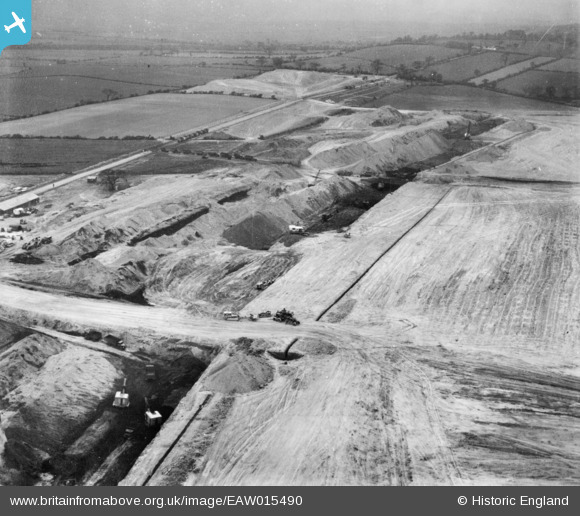 Pennawd [EAW015490] Billingley, Open Cast Coal Quarry south of the village, 1948. This image has been produced from a print marked by Aerofilms Ltd for photo editing. I wonder if the material being excavated is more likely to be something like Fullers Earth. How dark does that get? The overburden from coal tends to be shale, but this looks finer and "cleaner", like the Lower Greensand beds.